MP, HR executives, alumni and university leaders socialize and discuss new trends in the marketplace. Dr. Jabbra reminded attendees that mental and intellectual capacities remain invaluable, even in the age of the Fourth Industrial Revolution. Despite the challenging economic situation in the country, MP Neemat Frem invited attendees to take on a new perspective. 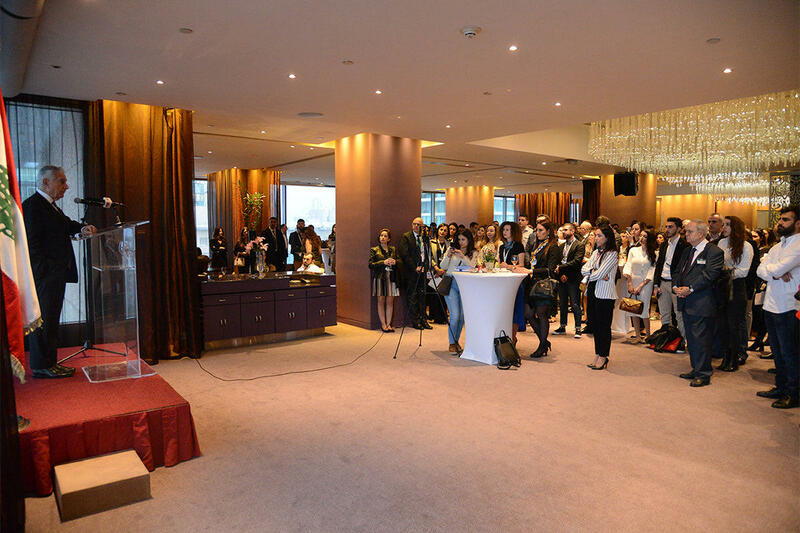 Together with the Career Development Services, the Alumni Relations Office hosted the 13th Annual Alumni Business Networking Reception at the Intercontinental Phoenicia Hotel in Beirut on April 9. The event brought together prominent business executives, and over a hundred alumni who gathered to hear updates on their alma mater from President Joseph G. Jabbra, as well as check in with MP Neemat Frem, who is also president of the National Economy, Trade, Industry and Planning Committee in the Lebanese Parliament. Dr. Jabbra reminded attendees that mental and intellectual capacities remain invaluable, even in the age of the Fourth Industrial Revolution. 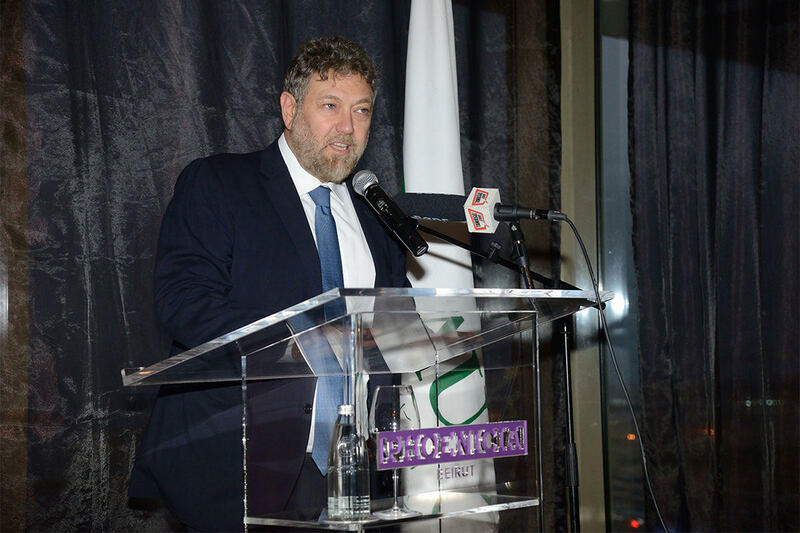 “We graduate students who are not only well-versed in technology, but who are true human beings,” he noted, citing that LAU has already taken on the challenge to become the institution of innovation. Despite the challenging economic situation in the country, he invited attendees to take on a new perspective: “If we are able to capture the knowledge that will shape our future, which is built around four dimensions – big data, nanotechnology, genetics and artificial intelligence – we will be active players in shaping our rapidly changing world,” he declared, adding that graduates will be able to create their own jobs, irrespective of the lacking infrastructure in Lebanon.